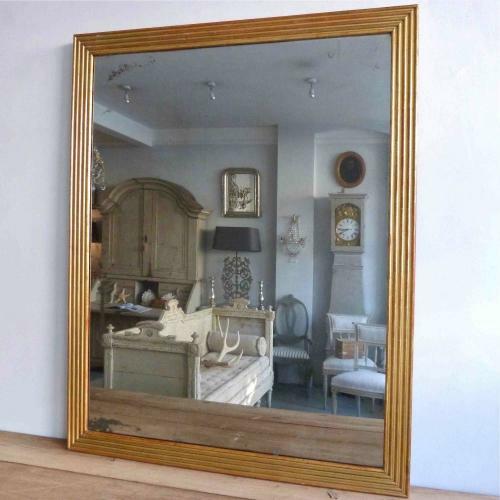 A decorative French antique mirror with a beautiful reeded gilt frame and original foxed mercury glass plate. Can be hung portrait or landscape. Circa 1840 - 1850.